In the world of business today, building your own personal brand has never been more important. I often see mothers who run their own business struggle identifying themselves as business leaders because at the end of the day they are “just a mum“. But there is nothing like “just a mum”, we don’t need to excuse ourselves for what we do, because we all have a purpose and a reason to be here. In fact we can weave in everything we do and we are into one image? It’s certainly possible so let’s look at how it’s done. To get started we need to understand what a personal brand is. Personal branding is the process of establishing a reputation for yourself, crafting an image that packages your skills, personal experiences, your values and attitude to life. To communicate your brand and be recognised in your field of work, your messaging needs to be consistent, original, authentic and a true representation of who you are. Who you are is not any more only about your professional skills and accomplishments but also your passions. People relate to passion and as a mumpreneur your kids and family are without a doubt a big passion and joy in your life. It’s very common in the last years to actually include in your professional image your family and thus show your vulnerabilities becoming more approachable. A strong personal brand can help guard against irrelevancy or being overlooked because it helps ensure your name is always visible and prominent in your field. This is even more vital in the social media age. For mumpreneurs to accelerate their careers, building a personal brand is a key. Many women in business have struggled with inequality over the years particularly when they have become mums and possibly paused their career while the kids were young. The question “And how do you plan to balance work and family?” is so common at job interviews that makes many women returning to office quite upset. Often there’s the perception that their focus is diluted. 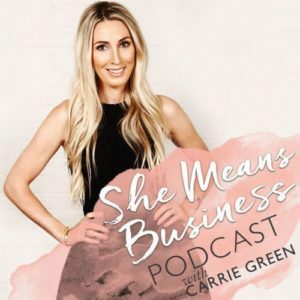 Melbourne-based corporate psychologist Glenda May believes women have historically been put at a disadvantage in the workplace and that must change – personal branding could be one way to do this. To help you perfect your personal brand as a mum, let’s look now at 5 tips to help you succeed. Every personal brand starts by defining who you are and what you represent in your industry. What do you value? What do you detest in your industry and want to change? You may polarise people in the process but that’s okay. Not everyone will like you but some will love you if you choose to stand for something. This more than anything else on this list is vital. It is the first stepping stone and the foundation of your brand as a whole. Think about your strengths, key qualities and who you aim to be. Try to summarise yourself in several bullet points. Many mumpreneurs feel their daily lives and work as mums can’t be included as a central core of their personal brand. That’s simply not true, you decide if you want to include your family life in as part of your brand or not – there is no right and wrong. Be guilt-free in your decision, either avenue is 100% okay to pursue. Every interaction you have online or in the real business world should be in line with your branding foundations. If you’re struggling to define yourself, ask your team for help. If they struggle, then you know that you haven’t got a strong personal brand and really need to put some work in. Building a personal brand requires commitment. Put time and effort into your personal brand. At its core, a good personal brand requires commitment and consistency over the long-term. Don’t worry if you mess up from time to time, correct course and move on. If you are going to use social media to build your brand, the odd post every couple of weeks will not cut the mustard when compared to your competitors who are possibly posting daily and building their brand with continual momentum. If you can only commit a few minutes a day, restrict yourself to one social media platform for the time being. It is better to do one thing really well than to start multiple accounts and neglect them. If you want your personal brand to help you get ahead in your career, you need to offer something of perceived value that expresses your thought leadership. Maybe you can prepare some useful videos for YouTube or write some ebooks and resources. Think about how you present these items and make sure the presentation style is congruent with your personal branding. For example, if you stand for high-quality, a DIY YouTube video is probably not appropriate. Building resources of perceived value may mean reaching a little outside your comfort zone. You may post an article about a topic you’re not yet an expert in, or may seek to connect on social media with someone you feel is superior to you in your career. Don’t let a lack of confidence deter you, you’re a mum so you are probably more capable and resilient than you give yourself credit for. The goal is to build value. This ties in with the next point particular well. While self-promotion is an element of your personal brand, don’t make it the main feature. Letting others know about your success is important in moderation. It’s more important to let people know what your values are and what excites and motivates you. Beating your own drum all the time is not a good look. Your personal brand should allow people to feel a connection with who you are because they understand what you stand for. Be the leader! This can be done by building your network, being the connector who introduces people to others and being an influencer in your field. As a mum you know the value of having someone watch your back. To have someone who believes in you, has your best interests at heart and keeps you on track is valuable. We get busy as mums and then important things we believe in slip. We encourage our kids to do some homework each day and don’t leave it all to the last minute. The same principle applies to building your personal brand. It takes time so commit to the journey longterm. Being accountable to a friend or coach may help, particularly if you are easily distracted. Don’t procrastinate because you fear making a mistake either. So you accidently made a spelling mistake or two on social media? No big deal, just fix it and move on. It’s about building momentum so get started and make some progress you can build on. You haven’t got complete control of how you are represented as a brand. What if your old high school friend posts a photo of you online in a not so flattering situation? We all have skeletons in the closet. Life goes on, just acknowledge the mistake and move on. Don’t let someone demotivate you when building your personal brand. Your personal brand takes time to build, so take it step-by-step. These tips can help you get started today and create a foundation to build on tomorrow. Great personal brands tend to evolve over time as you start to find your voice and establish your position in the marketplace. Always be open to tinkering and revision but be intentional with the direction of your personal brand.